Celebrating an anniversary is a special occasion that only comes once a year. This is the perfect opportunity to relax, unwind, and plan a romantic evening that will show your significant other how much you care. And if you happen to be celebrating a big anniversary, like your first, tenth, or even thirtieth, it’s important to set the scene by planning an evening that you will cherish for a lifetime. One way to plan a night to remember is by pulling out the stops and renting a limo to and from your destination. When you book a limo or luxury town car rental, you and your partner can enjoy a romantic evening in style – without having to worry about driving home after a few glasses of champagne. To celebrate years of wedded bliss, focus on connecting with the one you love in a romantic setting. There’s no reason to spend hundreds of dollars to rent a helicopter or a hot air balloon when a romantic evening for two may be just what the doctor ordered. This is especially true if you have kids; any opportunity to get out of the house and spend time together will be worth its weight in gold! In the Austin area, one of the best places to plan a romantic evening is at the historic Driskill Hotel, established in 1886. The Driskill, a landmark of Texas history, will provide the best of both worlds in elegance and simplicity: You can enjoy an upscale meal with after dinner cocktails at The Driskill bar. If you’re a fan of live music, as so many Austin residents are, make sure to check out special live music events at The Driskill before planning your anniversary celebration. Live @ The Driskill, sponsored by Tito’s Handmade Vodka, brings a showcase of up-and-coming musicians with a number of mixology concoctions for guests to enjoy in a four-hour event. Live @ The Driskill is hosted on the second Tuesday of each month and will offer a customized tavern and mixology menu without a cover. 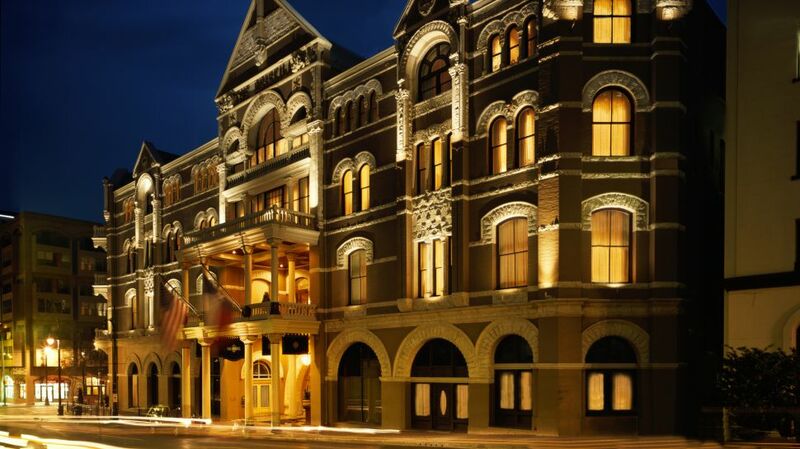 When in doubt, spending the evening at a historic hotel like The Driskill will create a romantic anniversary memory that will remind you why you got married in the first place. After enjoying a few cocktails at The Driskill Bar while listening to live piano music, you can reignite that old spark and reminisce about how you first met!